Yes we can. Barack Obama. 2008. Running for American Presidency. Yes we can. Me. Now. Driving the Jeep Wrangler. And indulging an excited Varun to scale any hill he points at. He wants to get dramatic pictures, so he doesn't care whether there's a track leading up to the hill or not. He doesn't even care if there's slush, large rocks or just slippery grass lining up the climb. On any other day, I would have curbed his enthusiasm instantly, quoting vehicle incapability and possible damage as excuses. But not today. Because today, 'yes we can' anything. And yes we do; we, the Wrangler and me, go for every hill that Varun points at. Not that we succeed in all our attempts, but the point is, there's no apprehension about giving it a shot. And that's down to the history of the Jeep we are driving. 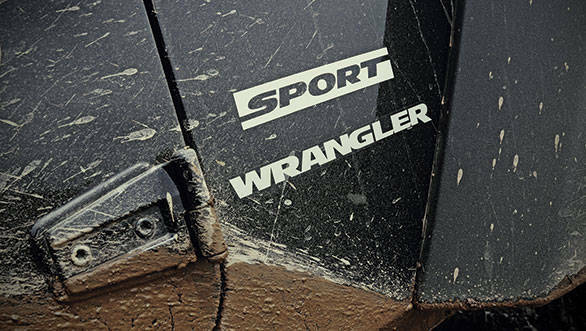 Mud, slush or sand, the Wrangler can handle it all. The Wrangler was born in the late '80s as a replacement for the highly capable but rudimentary CJ series of Jeep. Like the CJ, it too was a vehicle built to take on the rough. However, the Wrangler was a more 'civilised' beast in the words of Jeep. 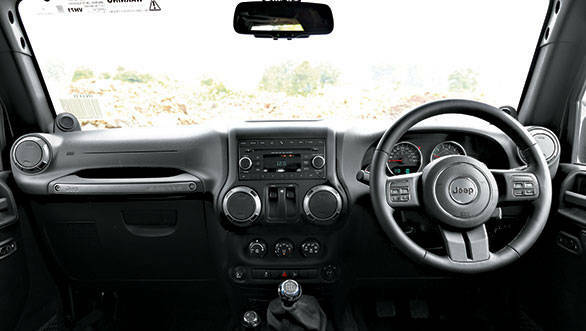 Since then, the Wrangler has gone through two generations of upgrades with 'civilised' being the central theme. So, each new generation Wrangler focused more and more on luxury, but thankfully without losing out on off-roading ability. In fact, with newer technology, the Wrangler only got better. You don't go corner carving in the Wrangler either; you just try and keep the Jeep as straight as possible. This much history was enough really to convince me to be at my most adventurous I have ever been with a vehicle off road, by myself. But more on that a little later. What really surprised me about this latest or third generation Wrangler, code-named JK, were the interiors. These are quite well appointed, come with a lengthy list of comfort features, and nothing really is raw or unfinished in anyway on the inside. Jeep plans to position the Wrangler as a luxury, iconic car in India, and of what I have seen of this particular Jeep, I think this approach could work. The Wrangler we are driving, the Sport, is the short-wheelbase, two-door version. So, it can only seat four, but the space inside isn't too bad, even for the rear passengers. The seats themselves are comfy. Yes, it is a struggle to get in because of the high ingress height, and there isn't a proper place to put your feet  be it for the driver or for the rear passengers  but it isn't something one can't adapt too. leading arms and coil springs for suspension on both ends, returns an unsettled and bumpy ride. Its front and rear ends feel less connected, and it skips over bumps and twitches over undulations in an unnerving fashion. But, the more you drive it, the sooner you realise these scary happenings are only as dangerous as the irritating Spitz in your neighbour's window. You don't go corner carving in the Wrangler either; you just try and keep the Jeep as straight as possible. Our Sport version comes standard with mud and snow tyres, so on dry tarmac, the grip levels are average at best. Quick turn ins, as a result, are met with understeer. The Wrangler also struggles to hold its line around a fast sweeping corner and begins to drift outwards under its own momentum. And given its almost two-tonne weight and centre of gravity that's not exactly close to the ground, there's always the fear of tipping the Jeep over through quick direction changes. We aren't saying with surety that it will, but it would take a very brave soul to actually attempt it on public roads. Then there's the steering, which returns little in terms of feedback. But, then again, the Wrangler has never been about on-road prowess; it has always been about cool and about invincibility. And the two-door Sport is no different. It gets you noticed like no other vehicle at this price. Everyone around you  the elderly, the teens, the men in lungis and even uptown girls  do a double take. Some point, while others smile, and the clued in lot, never fail to give you a thumbs up. Fellow motorists treat you like a hero and the cyclists... well, we all know how that goes. But whatever said and done, driving the Wrangler through crowded city streets is a tremendous ego boost. Off the road, I think the Wrangler has few equals in terms of ability. Rocks, river crossings, slush or steep inclines are dealt with such ease when driven in four low that it makes even a novice off-roader like me look legendary. All one has to do is keep it in first, stay on the throttle lightly, steer when necessary, and the Jeep makes a mockery of obstacles Mother Nature has laid in its path. 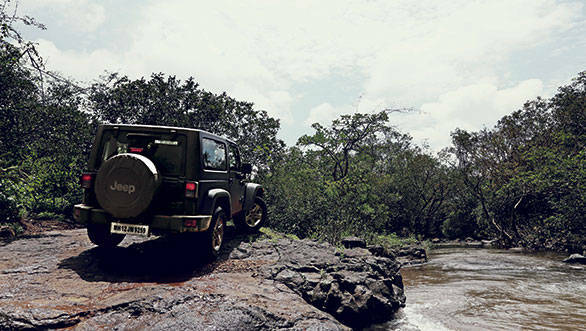 This off-roading prowess comes from both technology and the development programme every Jeep product goes through. According to the company, every Jeep product must meet a few essential criteria  flexibility in the form of articulation and traction, durability in terms of protection of crucial components, and escapability which comes by providing tow hooks and a full-sized spare. The Wrangler has it all. It also gets Jeep's Command-Trac 4WD tech which splits 50:50 torque to the front and rear axle when driven in either 4H or 4 L. It gets brake lock differential, which tries to maintain the same wheel speed for wheels on an axle like a locking differential does for better grip when taking on rocks or slippery inclines. However, this isn't an intelligent system like we find on most monocoque all-wheel-drive SUVs, so the torque split never changes between the axles, no matter what the surface or the grip level for each tyre. So, it's not so great when driving fast on slippery surfaces, but it's brilliant in truly trying conditions and when the going is slow. 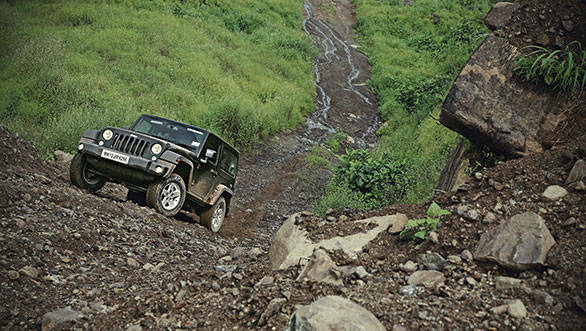 Equally impressive as the Wrangler's off-roading ability is the Sport's 3.5-litre V6 petrol engine. Under full bore acceleration, it propelled our Wrangler to 100kmph in just 8.3 seconds, and it was like launching a muscle car. Build up the revs, dump the clutch, and you get such tremendous wheelspin, it's hilarious. This is one off-roader you can lay darkies with, all day long. What's equally fascinating is the torque spread of the engine. This engine is coupled to a six-speed manual with an acceptably light clutch operation. But, you can treat the Sport as an automatic too; it can in third gear go from 20kmph to all the way to 160kmph, after all! While in the city, we found ourselves shifting at 2000rpm, and it was more than enough to overtake or get away from traffic. The flexibility of the engine is simply outstanding. 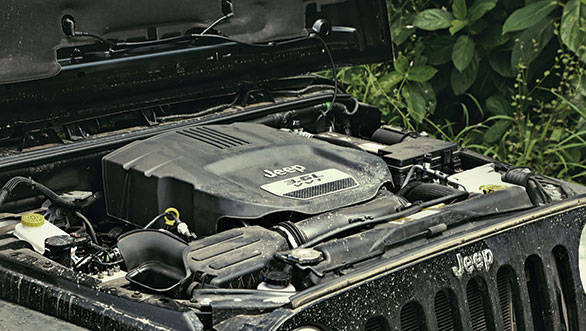 The Wrangler might have great engine flexibility, fantastic road presence and an off-roading ability that's difficult to match. It might also be luxurious in a way, but it just isn't a sensible purchase. It's only purpose-built for an off-roading junkie. 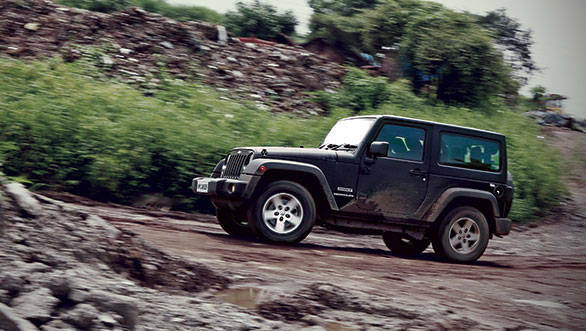 And yes, for those who love to pose, because with this Wrangler, yes you can.